On Saturday I attended the awards banquet for the United Field Trialers’ Association’s National Championship at Rend Lake Golf Course. More than 600 hunters from all over the country came to Rend Lake to compete for 10 days. This was a great event and brought business and positive attention to Rend Lake and the surrounding area. Thanks to the Department of Natural Resources, Rend Lake Conservancy, City of Sesser, Rick Linton, and everyone else who helped bring this event to Southern Illinois. On Tuesday I was able to pass my first bill out of the House Judiciary-Criminal Committee. HB 2897 seeks to include veterans suffering from Post-Traumatic Stress Disorder and/or depression among the list of disabilities eligible to receive a service dog through the Helping Paws Service Dog Program. Read my full statement and learn more about the bill Click Here. Legislation denying state lawmakers a pay increase passed through the House on Thursday. As I’ve said in the past, lawmaker’s pay is currently considered a continuing appropriation, so every year the General Assembly takes a vote to deny what is supposed to be an automatic pay raise. It is ridiculous to think anyone in Springfield deserves a pay raise right now. This is why I introduced identical legislation at the beginning of the year. I am encouraged to see that my colleagues on both sides of the aisle feel the same way about the matter, and I encourage the Senate to put this bill on the Governor’s desk as soon as possible. On Friday I met with David Blaise of River to River Residential and had the opportunity to tour their community. River to River provides senior citizens with quality assisted living, which is customized to fit each resident’s needs. As someone who grew up working in human services I know that trying to ensure seniors have the proper assistance without taking away their independence is a tough task. Thank you to River to River for working so hard to for serving our community’s seniors. My office in Marion is staffed Monday through Friday, from 8:30 am to 4:30 pm. 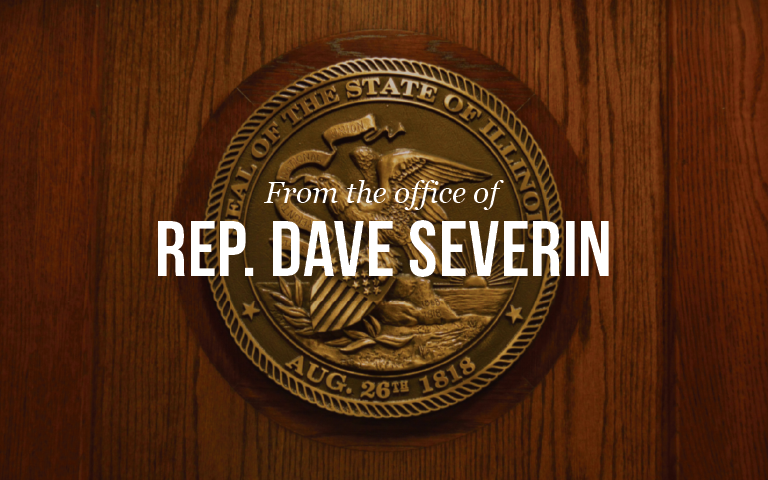 You can email me directly through the Contact Form on my website at www.repseverin.com. My staff and I are here to serve you! So please feel free to share your opinions with us.